Looking for a new home in Charlotte has never been this easy! 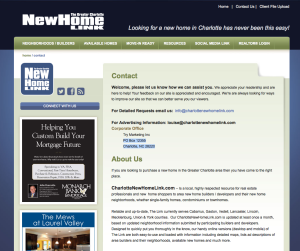 Charlotte’s BEST local resource for area new homes, condos, townhomes, neighborhoods & builders. Reliable & up-to-date, The Link currently serves Cabarrus, Gaston, Iredell, Lancaster, Lincoln, Mecklenburg, Union & York Counties. Follow Us on Facebook receive updates on new neighborhood developments, builders & more. Join discussions on housing trends, events & local happenings.